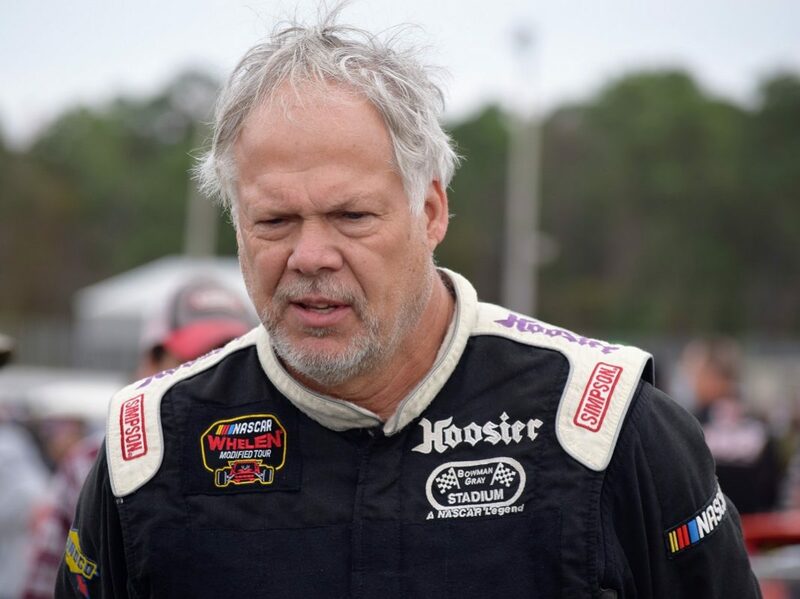 MYRTLE BEACH, S.C. – Despite his upcoming 60th birthday in July, NASCAR Whelen Modified Tour veteran Frank Fleming proved Saturday at Myrtle Beach Speedway that he hasn’t lost his touch just yet. Fleming, who started from the last row of the grid for the Performance Plus 150 in 31st, managed his equipment and stayed out of trouble all race long en route to a 10th-place finish at the South Carolina half mile. The effort was his first top 10 in NASCAR-sanctioned modified racing since Sept. 19, 2015 at South Boston (Va.) Speedway, as well as his first such result on the combined NASCAR Whelen Modified Tour since the 1992 Hanes 150 at Martinsville (Va.) Speedway, 27 years ago next month. Fleming shook his head at that statistic, then cracked a smile as he sat in the back of his hauler. 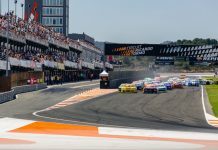 A new right-rear tire with 40 laps to go was the catalyst to Fleming’s strong run, one pit stop after he flip-flopped his left-side tires in a move to save an extra tire for a late-race caution flag. 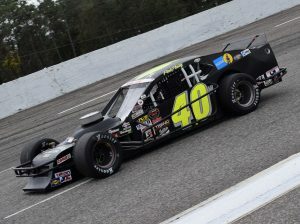 Fleming last ran a full year of NASCAR modified action in 2015 – before the merger of the northern and southern Tours into one series – but never finished outside the top 10 in points in nine full-time seasons on the NASCAR Whelen Southern Modified Tour. The Mt. Airy, N.C., driver then took a couple of years off from racing and put Danny Bohn behind the wheel of his familiar No. 40. The duo found success, including three poles, but Fleming still had the itch. “I enjoy racing. I let my nephew (Luke) drive my car for two years back in 2012 and 2013, and I was really done,” Fleming admitted. “I was happy, but he got to a point where he just didn’t want to do it any more … so I went back to running it myself for a little while, then Danny Bohn came along. I’ve always thought a lot of him and did a good job for me, but things just didn’t work out for us to continue. His desire for competition led Fleming back to the seat for last year’s Myrtle Beach season-opener, but it didn’t materialize into a full season for the wily veteran. Fleming hopes to change that this year, or at the very least run more than just a single race. “We’ve worked on the car a lot this winter, and we’ve definitely made the car a lot better. The car was definitely stronger than when we came down here last winter,” Fleming noted. “I’m a whole lot better, myself, and I think that’s changed a lot for us. 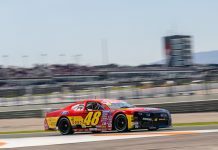 While he isn’t the oldest driver in history to capture a top-10 finish on the NASCAR Whelen Modified Tour – Wade Cole was 64 when he finished 10th at Seekonk (Mass.) Speedway in 2017 – Saturday’s finish is still one that Fleming is going to relish.